Summary for "Two Long-term Problems: Too Many People, Too Few Trees". 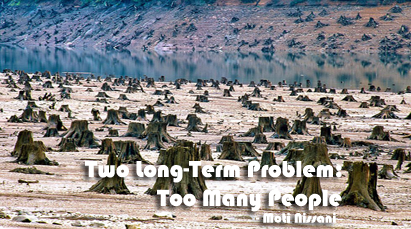 Moti Nissani provides a brief introduction to the twin problems of overpopulation and deforestation in his essay 'Two Long-term Problems: Too Many People, Too Few Trees' . In 1992, over fifteen hundred of the world's scientists signed a document expressing their anxiety 9 चिन्ता ) towards the condition of the biosphere. According to those scholars ( विद्वानहरु ) human activities have caused great threat to the nature. Unless the irreversible ( असुधारणीय ) damage on the environment and on the critical resources is checked the world is doomed to suffer. The Royal National Society and the U.S. National Academy have also expressed similar concerns. The world has become less safe. 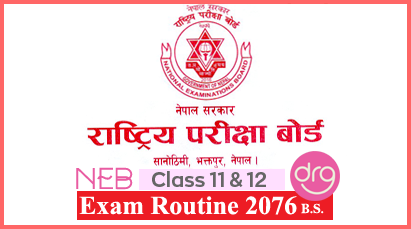 Despite the rapid progress achieved in the field of science and technology, the health hazards ( समस्या ) like cancer, emphysema, asthma, low human sperms, and premature hearing loss or quite high. All the water sources are polluted. We find poison in our food, drink and air. We have endangered ( खतरा बनाएको ) the lives of many species of birds, animals and planets. Many birds and animals such as dodo, great auk, passenger pigeon, are extinct now and many are on the verge of extinction ( लोपोन्मुख ) We are facing many problems of climate changes, floods, diseases, and mass migrations. The ultraviolet rays ( परावैजनी किरण ) from the sun reach us nowadays raising the trouble of skin cancer and cataract ( मोतिबिन्दु ) epidemics. Soil erosion, desertification ( मरुभूमीकरण ), and deforestation are proceeding further. The problems created or could be created by population growth were not much felt before industrial revolution ( औधोगिक क्रान्ति ). But after the industrial revolution, due to advances in nutrition ( पोषण ), sanitation ( सरसफाई ) and health, people live longer and thus population has started growing rapidly. Every year eighty million people are added. In Nepal, in 1951, the population was nine million. After less than fifty years, the number reached twenty three million. Moti Nissani says, by the beginning of the twenty first century the population will be 24,000,000. In 2026, it will be 46 million and in 140 years the number will be 368 million. Can we keep up with this growth ? The world is finite and it is already over populated. Population growth causes environmental problems. In order to feed huge population, forests have to be cleared. Provision of different facilities by the state cannot catch up with the growing people. Due to uncontrolled population growth crime and conflicts increase. It causes pollution as well. The problems can be solved if population can be controlled. The examples of Germany and Sweden are the proof. In China, Thailand and Egypt, the rate of population growth has slowed down because of combined government action. The population can be controlled through modernization, literacy, media campaigns ( संचार अभियान ) easily available contraceptives ( गर्भनिरोधको साधन ) and equal opportunities for women. Deforestation is another pressing problem. The destruction ( विनाश ) of forests results in floods, landslides, and soil erosion. As the pollution increases, we face the problem of ozone depletion ( ओजोनतहको क्षयीकरण ), greenhouse effect ( हरितग्रह प्रभाव ) and acid rain ( अम्ल वर्षा ). This problem can be solved by controlling the population through effective family planning, education and equality in opportunity. We can also impose special tax on wood products. Moreover, some money should be given to those who help to preserve the jungle. Reforestation will have bio-diversity, pure wilderness, and it will minimize desertification, flooding and declines in rainfall. Greater efficiency in the use of wood products and massive tree planting can be other possible remedies. The search of alternative fuel is also essential to solve the problem. Lastly, we need strong determination to put this knowledge into practices. Summary Of "Two Long-Term Problem: Too Many People, Too Few Trees"
0 Response to "Two Long-Term Problem: Too Many People, Too Few Trees | Summary"